Introduction: A new procedure using uniquely designed gold particles to stimulate the production of various protective and regenerative proteins in patients own blood (GOLDIC®) was investigated. 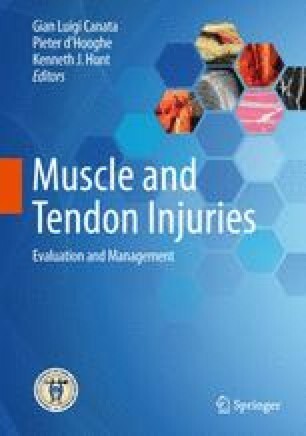 This study was designed to evaluate the effect of four consecutive GOLDIC® injections in human patients with Achilles tendinopathy. Methods: In this prospective case series study, 19 patients with chronic Achilles tendinopathy were treated with GOLDIC®. All patients received injections at the treated sides peritendinously. Pain score (VAS = visual analog scale) was evaluated at 4, 12, 24, and 52 months follow-up. Dunn-test analyses were performed using a multiple comparison procedure based on the failed normality test. MRI follow-up could be performed in five patients before and after 1 year follow-up. Adverse events were documented using medDRA. Results: In all patient groups, a statistically significant improvement of VAS could be demonstrated at all time points compared to baseline (p < 0.05). This effect was maintained up to 52 months. All MRIs showed fatty degeneration on the side of the tendinopathy. One year after the treatment, all patients demonstrated a complete regeneration of original tendon tissue as seen on the MRI. No severe adverse events are reported. Conclusion: The results indicate that the treatment with GOLDIC injections is safe and has the potential to reduce pain in patients suffering from chronic Achilles tendinopathy. An impressive regenerative capacity was demonstrated using MRI even in old patients. Future comparative clinical studies need to be performed to investigate the potential of this new approach in comparison to other regenerative therapies.